Abuse can take many forms, including but not limited to, physical abuse, sexual abuse, and emotional abuse. Some forms of abuse identify a particular relationship, such as in child abuse or spousal abuse. In addition, many psychologists view child neglect, whether it is physical or emotional, as a form of abuse. The impact of abuse can be long-lasting and traumatizing. It can affect our ability to experience and express various feelings related to the abuse and it can negatively impact how we see ourselves and how we view and approach relationships with others. Child Abuse and Parental Neglect: If you suspect that a child is at risk of experiencing abuse or neglect, please make a report to the child welfare agency in the area where the child lives. It is important for us to view these local agencies as supports, the child(ren) in potential need of protection, and an abusive or neglectful parent as being in need of help. Sometimes adults will hesitate in making a call to child welfare because they worry that it will result in the child(ren) being taken away from their family. This is not true – these Halifax agencies are there to help, and every effort will be made to provide it, with the goal of keeping the family together if it is possible to do so without risking the physical and emotional well-being of the child. Children who have experienced abuse and neglect will often need therapeutic support to help them process their experiences – this could be a short-term or a longer-term intervention depending on the issues involved. I have years of experience in working with children and teens in Care and have treated persons who have experienced various forms of abuse and degrees of neglect. I currently provide therapeutic services for children over 8 years of age. Most of this work is done from an attachment perspective, though I will choose an approach that best reflects the needs of a child or teen. Adult Survivors of Childhood Abuse and/or Neglect: It is important to recognize that the psychological impact of childhood abuse can last a lifetime if not properly addressed. A psychologist in Halifax can help work through unresolved issues by helping their clients explore and validate old feelings while gaining insight as to whether they might still have an impact on the individual’s life in the present. Some people are unfortunately resistant to talking about their personal history. They will say, for example, that “the past is the past,” and they would rather not revisit it. However, I would counter this sentiment by noting that ‘our body often remembers,’ even if we do not. If you are struggling in some way with anxiety, depression, or some other mental health issue, and have a history of abuse or neglect, it is worth taking the time to discuss whether it might have had prolonged effects. An experience is often considered to have been traumatic when the residual effects linger long after the initial event(s). With Post-Traumatic Stress Disorder (PTSD), for example, the traumatic event is often re-experienced through images, thoughts, dreams, flashbacks, or physiological distress. An individual may also experience psychological or physiological distress when exposed to internal or external reminders of some aspect of the traumatic event. Avoidance can also play a part, as an individual may avoid stimuli associated with the trauma, including thoughts, feelings, conversations, memories, activities, places, or people. While avoidance patterns can temporarily relieve immediate feelings of anxiety or distress, they tend to be reinforcing. Thoughts, feelings, and memories of the trauma are never fully processed, and may instead threaten to ‘flood’ the individual when they approach objects or situations related to the trauma. They may also ‘flood’ the person when their psychological ‘guard’ is least protected – such as the case in dreams or even doing physical activities that for most people are relaxing – like yoga or meditation. This is why some individuals ‘busy themselves’ to keep themselves engaged in something else or mentally distracted, which can take a lot of psychological energy and effort. Victims of trauma should not have to deal with the aftereffects to the extent that it impacts their quality of life. I have years of experience working with survivors of trauma and will tailor interventions to suit the specific needs my clients. 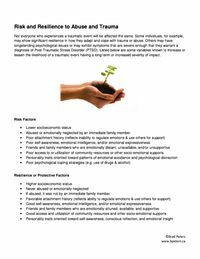 I work within a science-based model of practice that may involve a combination of Cognitive-Behavioral interventions, behavioral or emotional exposure, and a re-processing of the trauma, which may involve exploring how these past experiences have impacted present functioning and current relationships. With clarity and lucid detail, the author describes Post-Traumatic Stress Disorder (PTSD) and the very real impact of trauma, abuse, and prolonged stress on the body. The reverberating effects of trauma are conceptualized as intense psychophysiological reactions responding to unresolved feelings. The trauma has yet to be consolidated into long-term memory, but instead remains alive and active in the present here and now. 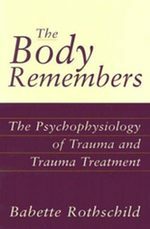 The author suggests ways of moving past the anxiety response to help the body cope with the real feelings of trauma so that it becomes nothing more than a bad memory. Aimed toward therapists and clients alike, this book looks explains many of the symptoms underlying PTSD, Dissociative Identity Disorder (DID), and the dissociative states that are often lingering effects of psychological trauma. The authors describe trauma related dissociation in a clear language and provide skills-based approaches that can help to minimize maladaptive psychological states including: involuntary numbness, depersonalization, amnesia, losing track of time, self-harm, and so on. The goal is to circumvent these self-defeating reflexes to allow the body to reintegrate threatening psychophysiological states.